Mrs. Juanita M Benoure, age 91, passed away unexpectedly after a brief illness at Northwestern Medical Center March 23, 2017 surrounded by family. She was born in St. Albans May 12, 1925, daughter of the late Richard and Grace (Zweers) Silk. She married Donald F Benoure January 22, 1946. Mr. Benoure predeceased her January 30, 1993. Juanita worked for many years as an LNA for Verdelle Village and later for Franklin County Home Health And Hospice, retiring in 2005. She was a foster parent for many years to many children, some of whom still kept in contact with her. 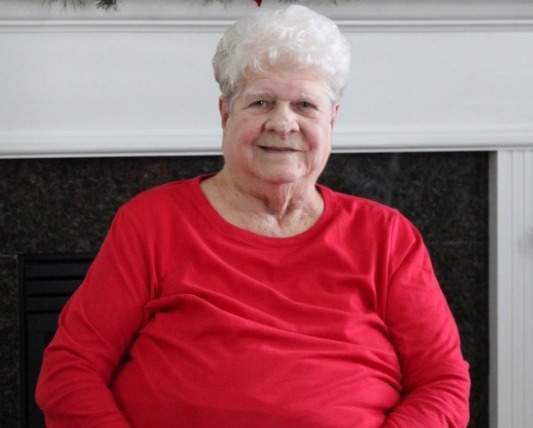 She will be remembered for her love of baking, playing cards, watching hockey and baseball on TV, crocheting, playing bingo, bird watching, and updating us on the weather. She also enjoyed watching her great-grandchildren play sports, but her favorite activity was just spending time with family. Juanita is survived by her son Thomas Benoure, daughters-in-law: Gloria and Kim, her grandchildren: Lissette, Kimberly, Karynne, AmyJo and David, Jennifer and Jose', MaryAnne, Michael, Ashley and Randy, and Timothy Jr and Tammy, her great-grandchildren: Thomas, Meagan, Kenneth, Jaden, Donovan, Lily, Logan, Elliana and Annabelle, and a great-great-grandson Gavin. She leaves her sisters Gertrude, Grace, Betty and her husband Bob, and her brother Merton. She also leaves behind many other family members and special friends. Besides her parents and husband Donald, she was predeceased by her daughter Linda, and her son Timothy. A mass of Christian burial will be celebrated Thursday, March 30, 2017, at 11:00 am at Holy Angels Roman Catholic Church. The family will receive condolences at the Brady and Levesque Funeral Home, 86 South Main Street, on Wednesday, March 29, 2017 from 4:00 pm until 7:00 pm. As an alternative to flowers, memorials may be made to Franklin County Home Health Agency, 3 Home Health Circle, St. Albans, Vt 05478, http://www.fchha.org/support-our-work/. Online memories and condolences may be shared with her family and friends at the funeral home website: www.bradyandlevesque.com. Arrangements are entrusted to The Brady & Levesque Funeral Home And Commemorative Services.